Who is teaching Yoga on your Surfing Holidays in Oyambre? I’m so excited that I get to guide you all through some awesome yoga classes during your stay with Star Surf Camps in their beautiful surf camp in Oyambre near Santander, Spain! My name is Holly and I’m a certified yoga teacher with Zuna Yoga. 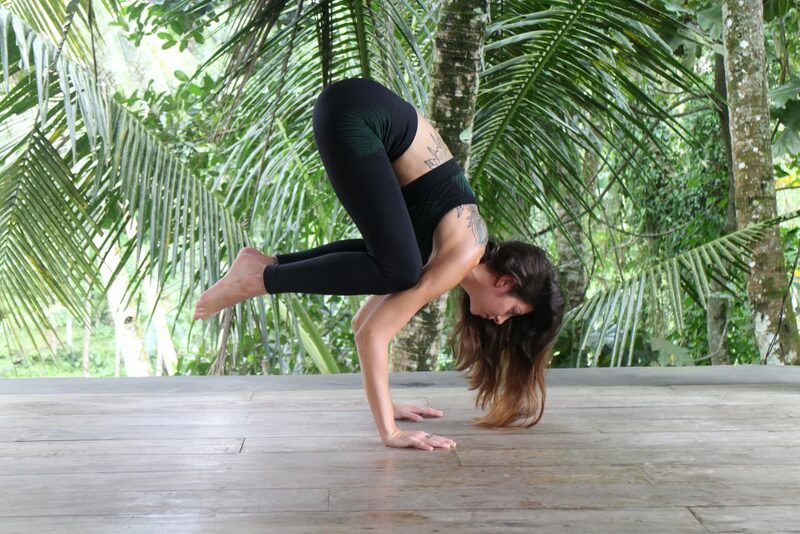 I completed my training in the jungles of Bali, followed by months of travelling and teaching yoga throughout Asia. I’m trained in classical Hatha yoga, which aims to bring balance to both body and mind. For my 2018 summer surfing season in Star Surf Camps’ surf camp in the beautiful North of Spain, I will be teaching a fun and creative combination of Hatha and Vinyasa yoga. In the mornings before you head out to the waves, we’ll start the day with an energising and up-lifting vinyasa flow yoga session. In the evenings, when we’re sun kissed and feeling glowy after a day of surfing (and, let’s face it, potentially a lot of wipeouts), I will guide you through a restorative and relaxing flow to wind down and ease off any achy arms from all that paddling. My intention as a yoga instructor is to ensure my students are taking full, meaningful and conscious breaths, combined with strong, grounding and strengthening asanas (postures). I truly believe with the breath and body in balance we can bring strength and harmony to our minds and souls, gifting ourselves the clarity and power to shape and build the life we want. Yoga for me isn’t just about stretches and pretty postures for Instagram (although I am partial to a good ‘yoga for the gram’-picture every now and again). It’s about being able to sit with oneself and our breath, to breathe fully, move slowly, consciously, and to truly not be afraid to feel. Yoga is strengthening both inside and out, above all it is grounding and centering. I also believe yoga should be fun and full of magic which is why on your surfing holidays, we’ll flow to music and play on our mats, try new things, face fears and wobble and try and try again. All hopefully with some deep breaths and big smiles! Yoga has shaped my life in so many ways, it gives me a purpose, both to myself and through teaching others. It has opened my eyes to a way of seeing the world to its fullest most beautiful potential. It has given me the tools to then share this with others, to help and to heal, in the same way it has helped and healed me. When I’m not yoga-ing about the jungles of Bali or the beaches of Sri Lanka, I’m longing for long winters in the mountains when I can snowboard to my hearts content. I also love surfing! Particularly on a surper calm and sunny day on my longboard. I believe surfing and snowboarding complement each other well, although the wipe outs in snowboarding do hurt a bit more! Yoga is a great sidekick to all board sports; it’s the yin to the extreme sports’ yang. It can smooth out any kinks we gain along the way in board sports as we tumble around snow, concrete and big waves. It can also teach us many breathing techniques which come in very handy when we need to re-center or calm ourselves down. Yoga is also great for core strength and building stamina which we need a lot of in surfing! I’m really looking forward to meeting you all at the surf camp in beautiful Oyambre. Namaste & see you all soon for your Star Surf Camp surfing adventure!